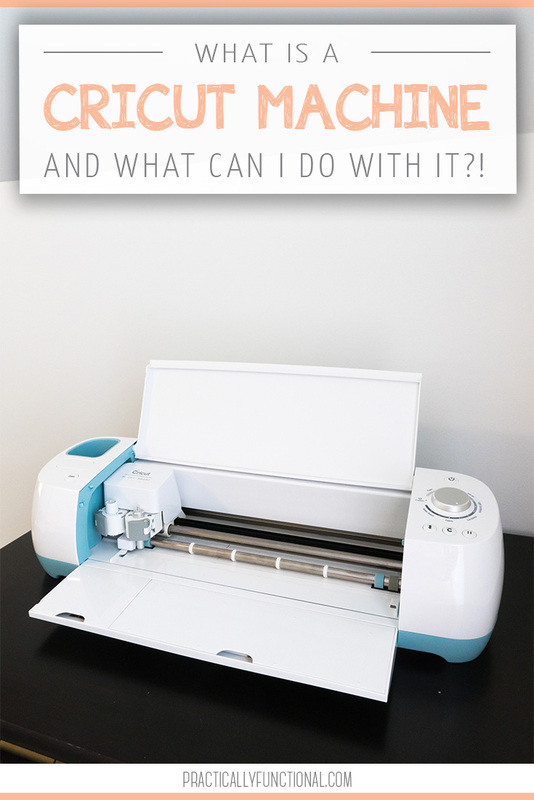 Home > Projects > Crafts > What Is A Cricut Machine & What Can I Do With It? Maybe you received a Cricut machine for Christmas or a birthday, but it’s still sitting in its box. 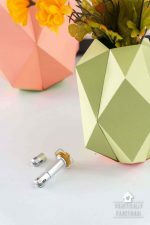 Or maybe you’re an avid crafter looking for a simple tool to make crafting easier. Or maybe you’ve seen tons of cool project images on Pinterest and wondered “How the heck do they cut those intricate designs? 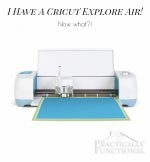 I wanna do that!” Or maybe you’ve heard of Cricut, but you’re asking “What is a Cricut machine, and what can you do with it?” Well, you’re in the right place; today I’m going to introduce you to the Cricut Explore Air machine and tell you about all the cool things it can do! I first used a Cricut way back in college. I was an RA and our resident staff department had a Cricut machine and a few cartridges that we used for cutting out letters and shapes to make fun signs and party decorations. I remember thinking that thing was SO COOL. 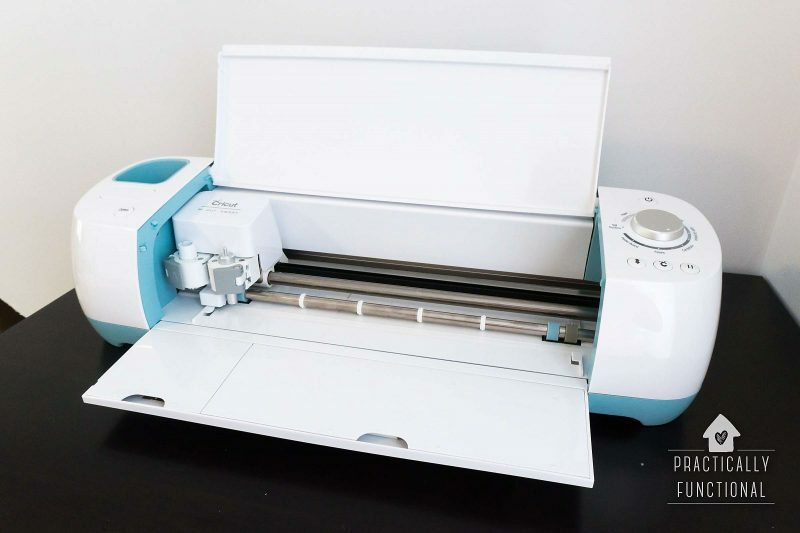 But Cricut machines have grown up a lot since I’ve been in college, and they are even cooler now! There are no more cartridges; everything is done digitally so that you can use any font or shape that’s on your computer. 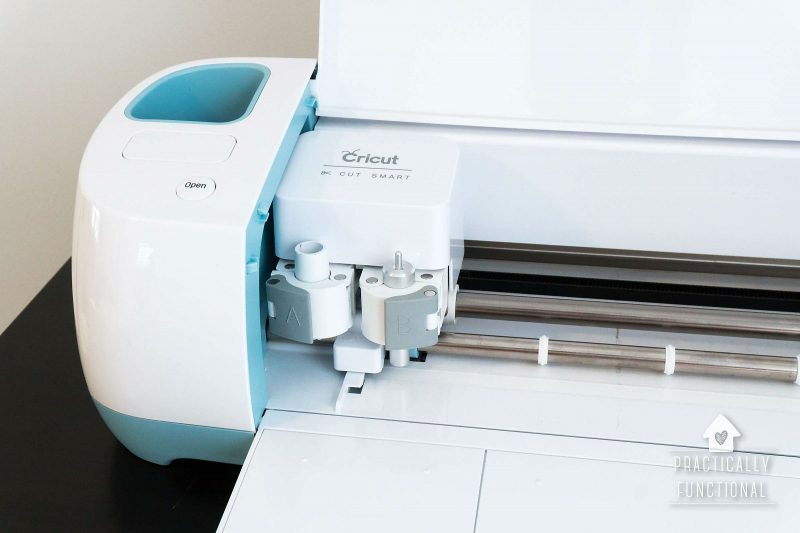 And most of the Cricut machines work over wifi or bluetooth, so you can design from your iPhone or iPad, as well as from your computer! The Cricut machines are easy to use, totally versatile, and only limited by your own creativity! 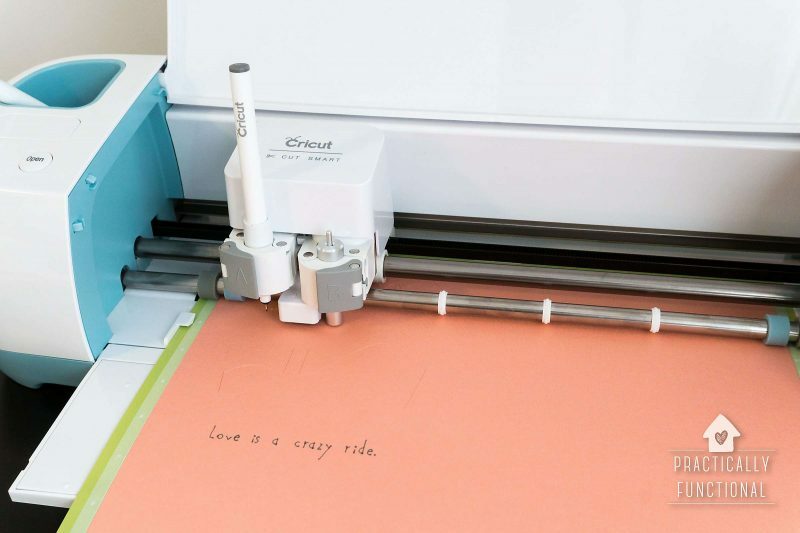 The Cricut Explore Air is a die-cutting machine (aka craft plotter or cutting machine). You can think of it like a printer; you create an image or design on your computer and then send it to the machine. 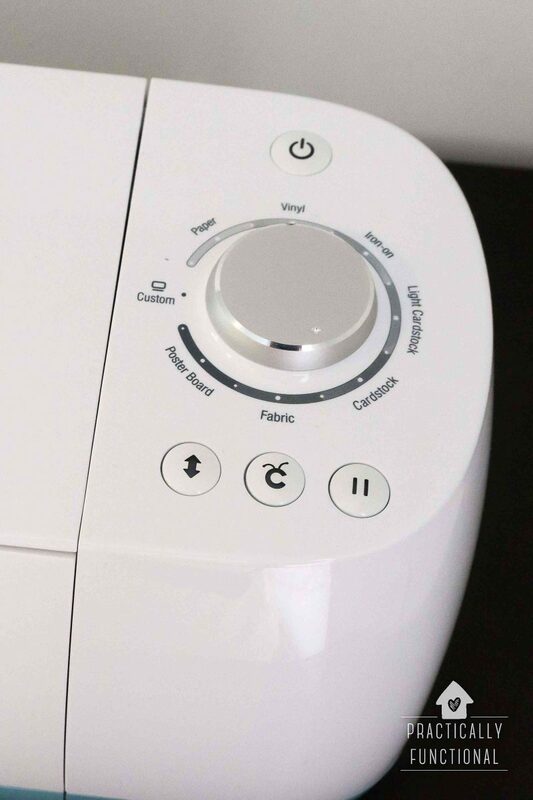 Except that instead of printing your design, the Cricut machine cuts it out of whatever material you want! 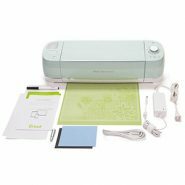 The Cricut Explore Air can cut paper, vinyl, fabric, craft foam, sticker paper, faux leather, and more! The Explore series of Cricut machines allows you to access a huge digital library of “cartridges” instead of using physical cartridges, like I did in college. 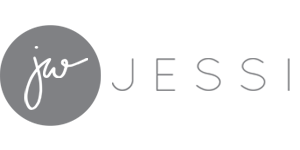 This means that you can use Cricut Design Space (their online design software) to take any text or shape from the library and send it to your Cricut to be cut out. You can even upload your own designs if you want! 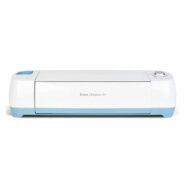 The Cricut Explore Air can cut materials up to 12″ wide and has a small cutting blade mounted inside the machine. When you’re ready to cut something out, you load the material onto a sticky mat and load the mat into the machine. 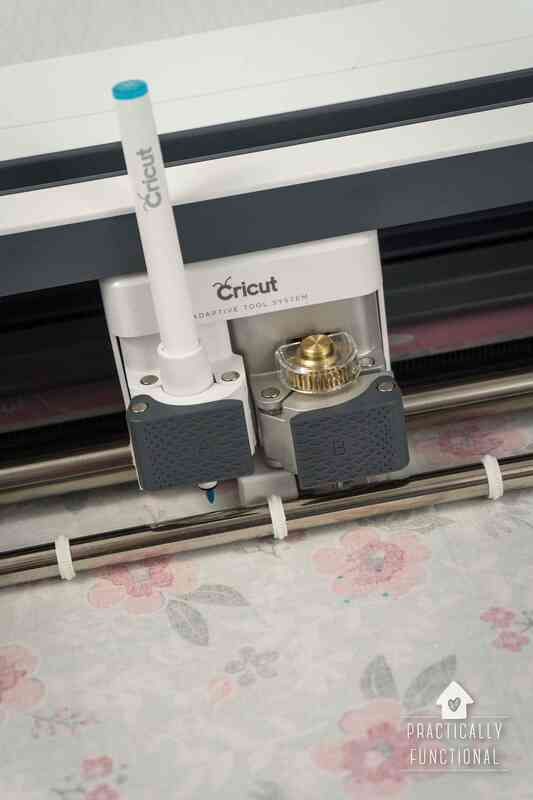 The mat holds the material in place while the Cricut blade passes over the material and cuts it. When it finishes, you unload the mat from the machine, peel your project off the sticky mat, and you’re ready to go! With a Cricut machine, the possibilities are endless! All you need is a Cricut machine, Design Space, something to cut, and your own creativity! What Can I Do With A Cricut Machine? There are TONS of things you can do with a Cricut machine! There’s no way I could even list all the possibilities, but here are a few popular types of projects to give you an idea of what the machine can do. …and tons of other projects that are too numerous to list! 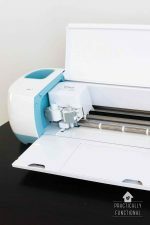 Here are the Cricut machines I discussed in this article; click the images below to find out more about each machine. 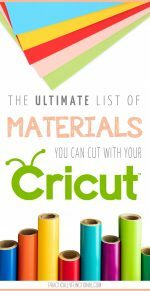 And if you’re looking to buy an awesome crafting tool, I highly recommend the Cricut Explore machines! I use mine pretty much every day, and it rocks! 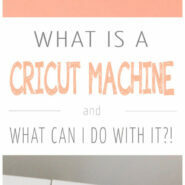 How Does A Cricut Machine Work? I am doing some late christmas shopping but i am curious if the cricut has any way to cut around a regular photo, if I work on it a little bit, like a little custom… i dont know the word for this… like cropping to the max, not automatically of course but can i put a photo on the app, the select areas to cut? or does it extrapolate outlines or something near this? Oh man, John I am SO sorry for the late reply! Your comment got lost in my inbox somehow! 🙁 You can use a Cricut to cut custom shapes if you want! 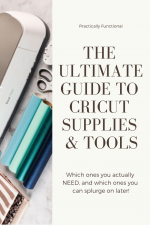 First you have to upload the photo (or a scanned copy of it) to the online Cricut software, then you can create custom cut lines around the parts of the photo you want to cut. Then you can load the photo into the Cricut and it will cut out whatever portions you want.